Many people that are close to reaching retirement age are not nearly as prepared for retirement as they would like to be. After years of neglecting their retirement savings to provide their families with the things that they needed, they are now finding that they are far behind on where they would like to be with their retirement savings. For most people, they need to have six to nine times their annual salary saved in a 401(k) account or other retirement accounts by your mid-50s to early 60s to comfortably maintain their current standard of living during their retirement years. However, a large fraction of Americans have very little retirement savings to speak of and are going to find themselves in a tough position during their retirement years. If you find yourself in this position, all is not lost. 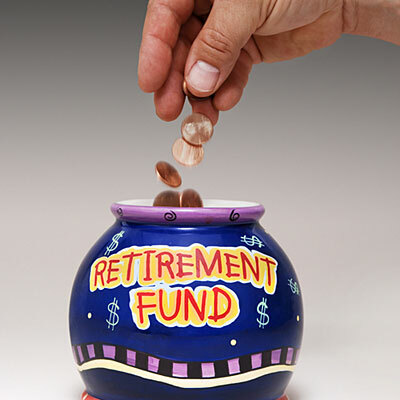 There are a number of methods that you can use to catch up on your retirement savings. Here are some of the most effective methods for catching up on your retirement savings. If you are having trouble finding money to save for retirement, it may be time to revamp your budget and reduce your expenses. Many of us are paying expenses monthly that are not really necessary to maintain our standard of living, wasting money that could be used to save more for our retirement years. If you are paying for a gym membership you rarely use, cable channels you rarely watch, a mobile device plan that is larger than necessary, or dining out more than twice a week, eliminating these expenses can provide you with a considerable amount of money to save for retirement. Review your budget carefully and eliminate any expenses that are not providing value to your life. If you find that you are not making enough money to pay your necessary expenses and save for retirement, you should consider ways to make a second income that you can divert towards your retirement savings. There are many ways to accomplish this, including taking a part time job, doing odd jobs for money on the side, and turning a hobby into an income stream. The trick is to find something that you enjoy doing so it does not seem as if you are just working all of the time with no time to yourself. Explore your options and try out a few to see if the method is a feasible option for you to increase your retirement savings.